The Tax Cuts and Jobs Act will dramatically change the US tax code in 2018. 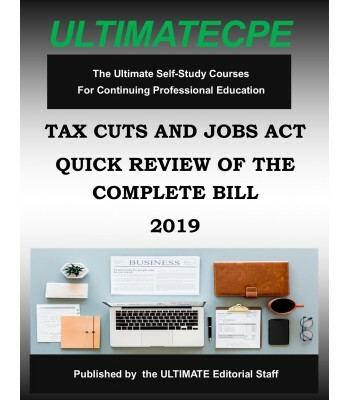 This course will provide a quick review of the entire Tax Cuts and Jobs Act Bill (H.R.1.). 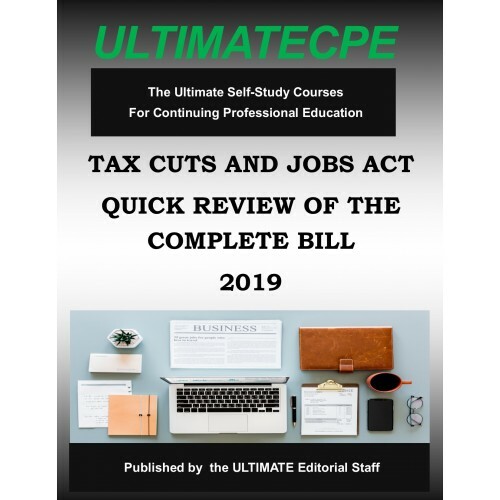 This course will provide a summary description of all provisions referenced in the Tax Cuts and Jobs Act. This description will identify the provisions that were changed for individual tax reform, business tax reform, exempt organizations and international tax provisions.